We are happy to announce that the Senate of the University of Tübingen has approved the foundation of the new Institute for Biomedical Informatics, IBMI, which is a shared initiative of the Faculties of Medicine and Science and the University Hospital Tübingen. Please read the official statement on the University website for more information. 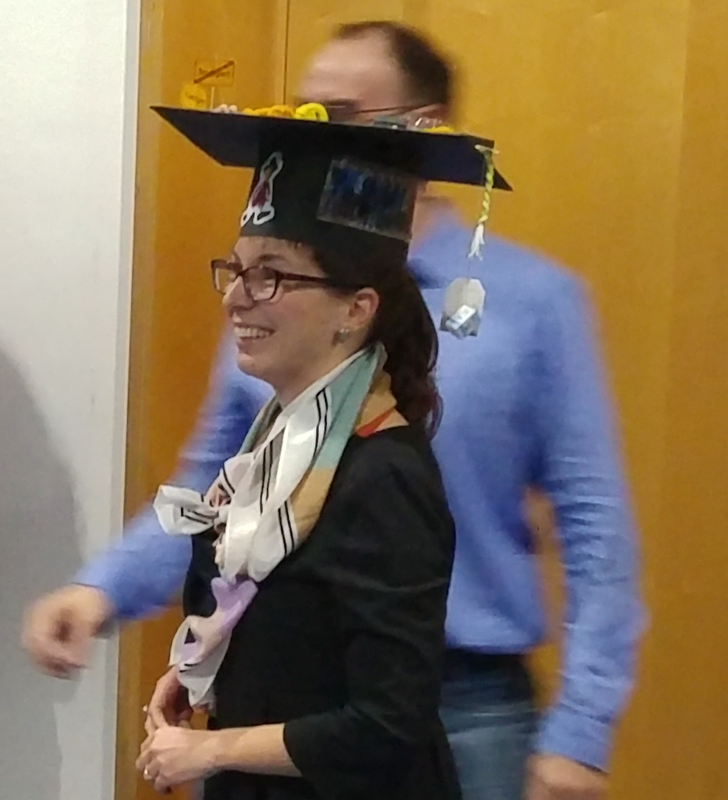 We congratulate Charlotta who successfully defended her doctoral thesis. She was mainly working on topics from personalized medicine, structural bioinformatics, as well as cheminformatics. For her future, we wish her all the best! We congratulate Linus who successfully defended his doctoral thesis. He was mainly working on interdisciplinary projects in computational immunomics in close collaboration with the Department of Immunology at Universität Tübingen. For his future, we wish him all the best! Our annual ABI group retreat has taken place in the Jugendhaus Michaelsberg, located on a hill full of wine yards. Besides a marvellous view and leisure time for socializing we had lot's of effective and fruitful discussions.